Profile: We are a team of professionals with years of experience in planning on site executions of multicultural weddings, corporate events and special celebrations. 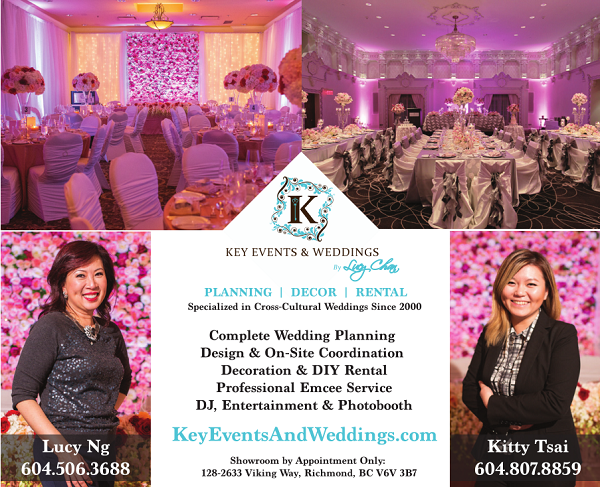 We are a team of professionals with years of experience in planning on site executions of multicultural weddings, corporate events and special celebrations. Over the years, we have accumulated well-developed relationships with local industry event hospitality and special services vendors. We have put together our service package according to the different needs of each client, with flexible service details that tailors to the specific requests. We enjoy working with different client to make their dream come true! With the diverse packages we offer, Key Events & Weddings is truly a one-stop shop for you.